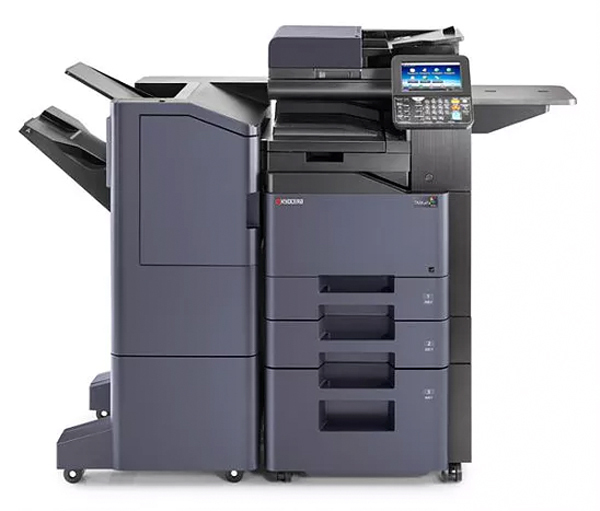 Designed to impress, the Kyocera TASKalfa 2552ci and 3252ci are the ultimate color MFP’s for small business and distributed work groups. As a flexible document processing hub these two products provide all the tools needed to easily and efficiently print, copy and scan. Processing your documents is easy with the large tablet like color touch screen and intuitive feature selections that speed job turnaround. All the tools necessary for completing your business task are available on these products, routine copying or scanning to a network folder will provide all the tools for your growing business.